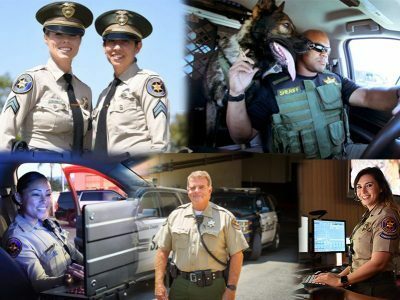 For a complete list of sworn and professional staff opportunities, please visit the Ventura County Sheriff’s Office Recruitment website at. http://www.applyventurasheriff.org/. To apply for a specific position, please visit the County of Ventura Employment Opportunities website at: https://www.governmentjobs.com/careers/ventura. Custody Records Technician I is the entry-level classification in which incumbents receive instructions, training, and experience in the specialized records duties performed in a correctional facility. Incumbents are expected to perform increasingly responsible work and are eligible for advancement to Custody Records Technician II if assigned to the Todd Road Jail facility or Sheriff’s Intake & Release Specialist if assigned to the Main Jail facility. The Deputy Sheriff Academy Complete is for those who have completed a POST certified academy, but have not completed a full year of law enforcement employment where they would have earned a California POST Basic Certificate. The Deputy Sheriff Lateral Transfer is for those currently employed as California Peace Officers in good standing and possess a California POST Basic Certificate. The Deputy Sheriff Trainee is the entry level position for those who have not yet attended a California POST certified academy. The academy is a six month long process and is the first step in your law enforcement career. The Forensic Scientist I classification is characterized by the performance of professional forensic science analysis. Incumbents are not expected to have expertise in a complex specialty area. This classification differs from the Forensic Scientist II classification in that the latter classification is expected to perform journeyman-level analysis and casework. Incumbents in this classification typically receive mentoring as they continue their professional development in a specialty discipline. Jail cook is responsible for actual preparation of food and may direct inmate help. The position reports to the Assistant Food Services Supervisor and has no supervisory responsibility of subordinate staff. Jail Cooks prepare and cook food in accordance with the State of California requirements for prisoner and inmate caloric intake. They maintain cleanliness of working area and equipment. Jail Cooks also direct and train inmate help in the preparation and serving of food. The position of Reserve Deputy Sheriff is one of our volunteer programs within the department. A Reserve Deputy Sheriff must have completed a California POST certified reserve academy. Sheriff’s Records Specialist I (SRS I) is an entry-level classification and incumbents receive instructions, training, and experience in the specialized records duties performed in the Criminal Records Division. Incumbents are expected to perform increasingly responsible work and are eligible for advancement to the Sheriff’s Records Specialist II (SRS II) after successfully completing probation and one year of successful performance as an SRS I. SRS II is the full journey-level classification and can effectively perform the duties in any assignment in the Criminal Records Division. Under supervision, monitors inmate movement, behavior, and performance in maintenance and housekeeping activities in an adult correctional facility (maximum, medium, or minimum security); transports inmates; performs technical/clerical level, inmate booking or evidence processing work; performs related duties as assigned. Under immediate supervision, receives requests for emergency assistance via an array of sources; determines urgency and type of assistance needed; dispatches appropriate public safety personnel by utilizing computerized mapping system, computerized 911 telephone system, computer-aided dispatch system, computerized radio system, related databases, and other computerized equipment; exercises independent judgment; coordinates patrol unit activity, including complex critical incidents; and performs other related duties as required.